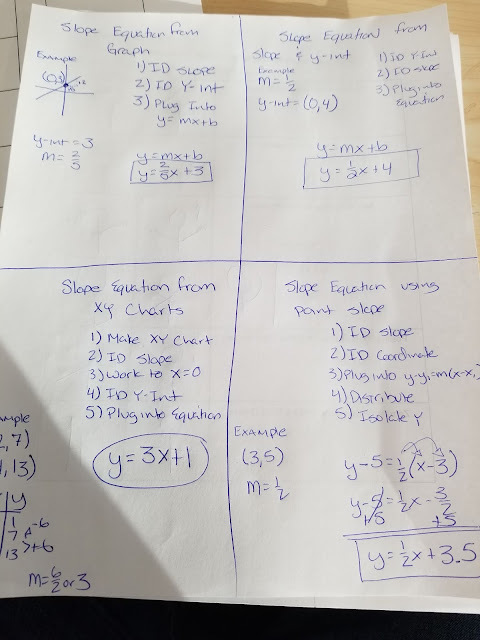 Mr. Robinson's Creative Lab Studios: This Week in Math - Slope Review and Unit 3 Wrap Up! This Week in Math - Slope Review and Unit 3 Wrap Up! This week the students are working through Lesson 12 and 13 of their Open Up Resource Workbooks. We are also reviewing all the strategies we have learned to help us get to the Slope Intercept Equation. 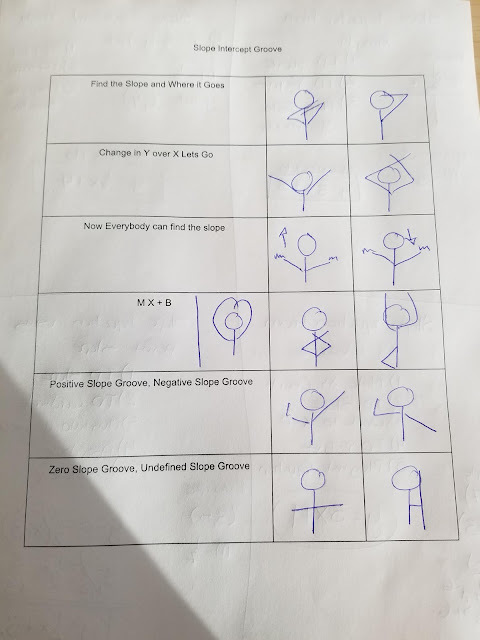 Below are the review notes we will be utilizing all week long as well as the Lyrics/Dance Moves for the first song the students will be learning.